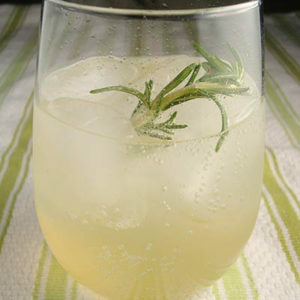 There’s nothing like homemade lemonade, a refresher that becomes citrus magic thanks to a little fresh rosemary. All you need is a cup of sugar and the juice and zest from a dozen lemons. Put it all into a large pitcher and stir until the sugar dissolves. Add a couple of sprigs of fresh rosemary and top it off with some cold water and ice. You might add a little vodka if it’s party time. How about that! Your very own homemade rosemary lemonade — proof that summer is still very much here.